Today, Maximum Media reveals its latest made-for-social TV production, The JOE Show. 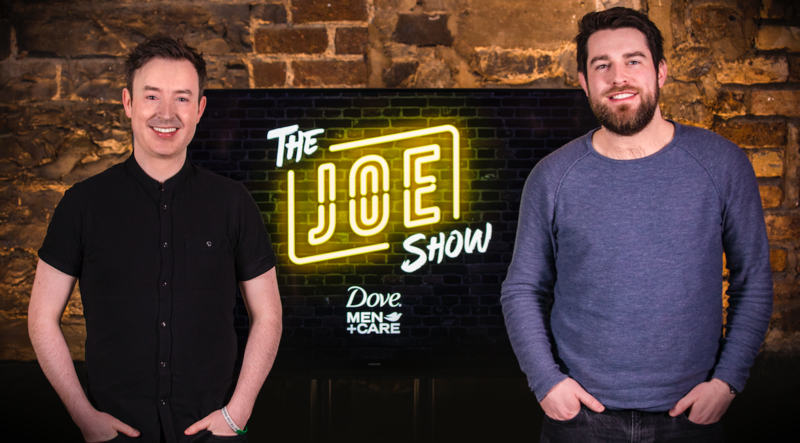 Created in partnership with Unilever Ireland, and hosted by JOE duo Paddy McKenna and Eoghan Doherty, the live talk show will air on JOE’s Facebook Live and Twitter channels, every Tuesday at 8.30pm. Developed for the underserved youth demographic with a particular focus on the JOE user-base, it will feature some of the best JOE stories of the week, interviews with the biggest celebrities, studio guests and cash-prize audience giveaways. The first episode, which airs tonight, includes chats with the A-list stars of Guardians of the Galaxy Vol. 2, Chris Pratt, Karen Gillan and Zoe Saldana; comedy sketches from some of Ireland’s most talented up-and-comers; a live music performance in the search for Ireland’s Magic Cover; and a chance for viewers to win €1,000 if they can outsmart hosts Paddy and Eoghan, in the ‘Thousand to One’ challenge . The partnership with Unilever Ireland, negotiated and executed by Mindshare Ireland, was a hugely collaborative process, ensuring seamless brand integration. Dove Men+Care will be the initial partner for The JOE Show, with Lynx taking over in the summer. Alongside the live show, a number of branded segments will also be pushed out from JOE’s channels in the days after each broadcast, including everything from celebrity interview clips to comedy sketches. The JOE Show (#JOEShow) will be shared across JOE’s social channels, with a combined reach of over 1.5 million. It is one of a number of new shows launched this year by Maximum Media, which include Her and HerFamily. Already in 2017, JOE has launched its new live sports show, SportsJOE Live, its rugby podcast, The Hard Yards, and its first foray into business media, with its new podcast, The Capital B. All shows are produced at Maximum Studios.